In one year in a small region of Mozambique, a South African organisation has made a significant impact by reducing the prevalence of one of Africa’s, and the world’s, biggest killers – malaria. But Goodbye Malaria chief executive officer Sherwin Charles says they can’t stop now and need to continue making an impact in Southern Mozambique because to solve South Africa’s malaria problem, that’s where the focus needs to be. Goodbye Malaria, an African initiative created by African entrepreneurs searching for a creative way to solve one of Africa’s biggest problems, aims to educate people that the fight against malaria is not in vain because elimination is possible. “IT’S NOT A PIPE DREAM,” SAYS ROBERT BROZIN, FOUNDER OF GOODBYE MALARIA AND FAST FOOD CHAIN NANDO’S. In just one year, in the Boane District of Mozambique, Goodbye Malaria has sprayed around 30, 000 houses and protected around 120,000 people. According to the World Health Organisation (WHO), 3.2 billion people around the world are at risk of contracting malaria and, in 2013 alone, they estimated around 198 million cases occurred of which 584 000 people died. Most of the deaths were children under the age of five years old. These shocking statistics add up to the fact that a child dies from malaria every minute. Brozin says that the impact they make is not about simply writing a cheque for Corporate Social Investment (CSI), but rather about boots on the ground. “WE PHYSICALLY GO THERE. WE SEE THE IMPACT WE ARE HAVING AND GET ACTIVELY INVOLVED,” HE SAYS. The programme also creates employment opportunities, with around 70 local people employed as sprayers. Brozin says that by expanding the programme, they hope to create employment for many more people. “A huge amount of people are getting behind the malaria issue, but with even more support there is so much more that we can do,” says Brozin. Funds for Goodbye Malaria are partially raised through the sale of Shweshwe-printed pyjama pants (the idea being that you can save lives in your sleep) and teddy bears, as well as colourful beaded Relate Bracelets. These bracelets make a tangible difference, with the sale of just one bracelet enabling Goodbye Malaria to purchase a sachet of insecticide that will spray, and therefore protect, two homes for six months. This contributes significantly to their overall spraying programme. The average household contains three people. Relate Bracelets is a 100% not-for-profit social enterprise which supports a number of causes through the sale of their bracelets, as well as creating earning opportunities for the beaders that thread them and youth upskilling initiatives for their young employees who finish the bracelets. 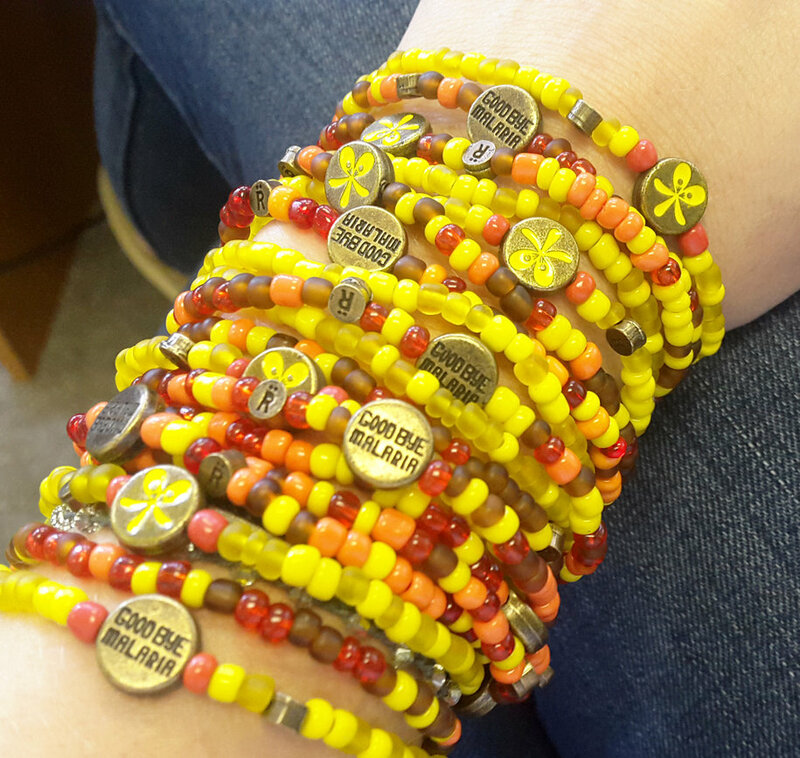 Chief executive officer of Relate Bracelets Neil Robinson says any South African can get involved in making a difference because if every South African bought just one bracelet a year, it would add up to a staggering quarter of a billion rand raised for their causes and initiatives.